Eric Holder Seeks To Make Juries Irrelevant | Dude, Where's My Freedom? Posted on July 17, 2013	by Dude Where's My Freedom? A tyrant who is actively working to subvert the rule of law. Eric Holder promises “compassion” and “truth” in Zimmerman case – CBS News. It should be obvious to everyone at this point that the race-baiter who runs the Department of Justice (Orwell would be proud of that name) has absolutely no intention of respecting the practice of trial by jury, and fully intends to do absolutely everything within his power to ensure George Zimmerman is sent to prison for something, anything, in order to appease the bloodthirsty masses of people who haven’t bothered to examine the case and notice that there isn’t a shred of evidence indicating Zimmerman committed any crime whatsoever. You don’t have to be some sort of genius to realize that Zimmerman, at this point, is a victim of political pressure. That is to say, any time he has spent in jail thus far, and any time he may spend in jail in the future, is for political reasons unrelated to any supposed crime he has committed. This would make him, by definition, a political prisoner. I would seriously suggest that he consider following in the footsteps of Julian Assange and Edward Snowden, and apply for political asylum in a foreign country. Even putting aside the issue of death threats received by private citizens, George Zimmerman is not safe in the United States, because his own government is clearly out to get him and will not rest until they find some way in which to punish him for lawfully protecting himself during a violent attack. This is no longer a nation of laws. It is a nation of men in power who make the laws up as they go along, and who are not accountable to the laws they enforce on others. Zimmerman should flee America, because his freedom is in serious jeopardy here, threatened by power-hungry dictators who couldn’t give a flying crap what a jury has to say about the facts of a case. This issue is certainly worth keeping an eye on, because it has the potential to become much bigger than any concerns about Zimmerman himself. This case is quite clearly an example of the government becoming enraged and throwing a hissy fit because the jury didn’t arrive at the “correct” verdict. It’s quite obvious that Holder was openly rooting for Zimmerman to be convicted. He didn’t get his way, so now he will attempt to subvert the jury system entirely, and keep throwing charges at Zimmerman until he finds one that will stick. The right to trial by jury and the right to avoiding double jeopardy are fundamental to American freedom, clearly established in the constitution, and have been consistently protected throughout American history. Allowing the state to continually harass Zimmerman until they can find a charge that sticks would set quite a dangerous precedent, particularly for those of us who advocate jury nullification as a check on government power. The entire premise behind jury nullification is that the jury has the final say in the matter. That once a jury finds you not guilty, the game is over. The government has lost, and they are now forced to move on. This tactic will become null and void if the state is allowed to continually re-try someone with slightly different crimes, all related to the same general incident, until they get the verdict they prefer. It would be a gross perversion of justice, as well as an incredibly large threat to our freedom and liberty in general. Once again, this is something we should all keep an eye on, because the issue is much larger than George Zimmerman. Even if you happen to disagree with the verdict in this case, all Americans should come together in support of the right to trial by jury, which means that once the jury decides, the trial is over. 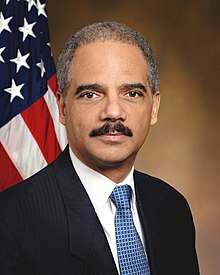 We should all reject Eric Holder’s transparent attack on one of our most fundamental liberties, and demand that the government immediately put an end to its continued harassment of George Zimmerman, who was found to be an innocent man by a jury of his peers. This entry was posted in News Commentary and tagged Constitution, double jeopardy, eric holder, george zimmerman, jury nullification, jury system, political asylum, political prisoner, trayvon martin. Bookmark the permalink.